Back here Down Under, the beers are being chugged, the barbies are on, the lamingtons are out, and the Aussie flags waved about because it’s Bogan Day, I mean Australia Day! There’s a lot of pride in the air. Among all the talk of racism, drunkenness, shamelessness, swearing, and concern about the country being stolen from the Aboriginals and our need to rethink the day and the flag altogether, I thought it apt to write what Australia means to me. One of the characteristics that’s shoved in today’s face is the Southern Cross (otherwise known as Crux to Astronomers), made up of 5 stars, a constellation nearly always visible from the Southern Hemisphere. As it acts as a symbol of Australia(ns) and it pinpoints our location in the world, this is about the 5 (good) things Australia means to me. That’s where I found a gorgeous guy. The bushland defines a lot of it for me. I’ve lived near the bush all my life. 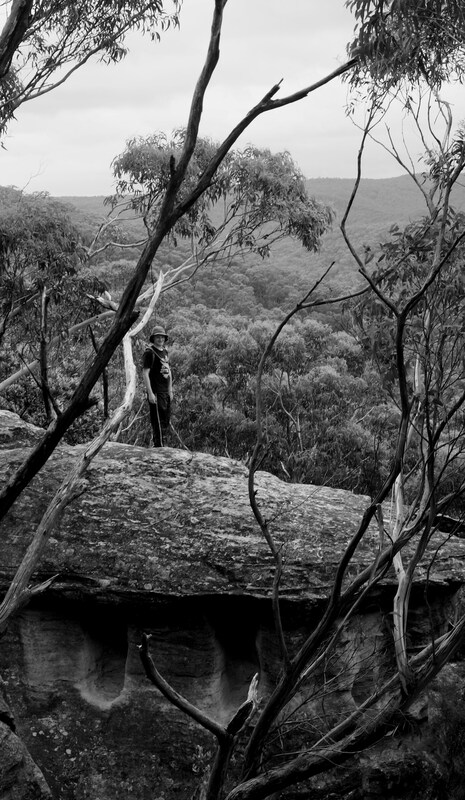 From bushwalks and mates to meditative adventures, that’s where my heart is. The bush is a totally different world to the one in the city. It’s peaceful. Time stops there. Diversity of the people and experiences that I have, but also diversity of the land. One minute you’re in rainforest, the next in the desert, and the next you’re at the beach. The land is all so different here and I cannot wait to explore this place more. Just that, there’s bush next to the city and wide open spaces. I hope it will forever retain these beautiful places. Australia is my home. It is the bush, mates, diversity, love, space, adventures and all of that. It’s a beautiful place to live. Some day I will visit! One of the places I’ve always wanted to see! Thanks for sharing! It’s worth visiting! Where are you from? Oh lovely. There appears to be plenty of people here from Texas and they seem to enjoy it 🙂 Come over here! Australia and New Zealand are the most exotic places I want to visit. Thank you ikki jonze! Same to you 🙂 Australia is beautiful for sure, and I can’t wait to one day go to NZ – it’s not far after all! Whereabouts are you from? Your blog is lovely. Great read 🙂 Lovely post about meditation! I’m from Colorful Colorado, for now 🙂 But originally from Far East Siberia, believe it or not. What a nice post! I think you just captured some of the really good, positive things about your homeland. I am sure there is lots more. Thank you 🙂 There are plenty of good things about Australia and I am sure I could write a lot about it. It is a good place to live mostly! Frankly, I think it all depends on your attitude. If you are positive, you can always find good things about where you live. There are always flaws everywhere but you should concentrate on good things and life would be so much better! Yeah, I mean mostly it depends on your attitude, some places really are the pits! But it is usually better off to focus on that which is good and positive, so you’re right! There are definitely flaws with Australia and I could easily have written a blog post about that huge list, but mostly I love where I live and I am lucky to be surrounded by these people, places and experiences. It is a beautiful country of many beautiful countries. Lovely insights, naturelands. Thanks! Oh that’s gorgeous, thank you naturelands, same to you. I wish you all the best 🙂 Keep inspired!